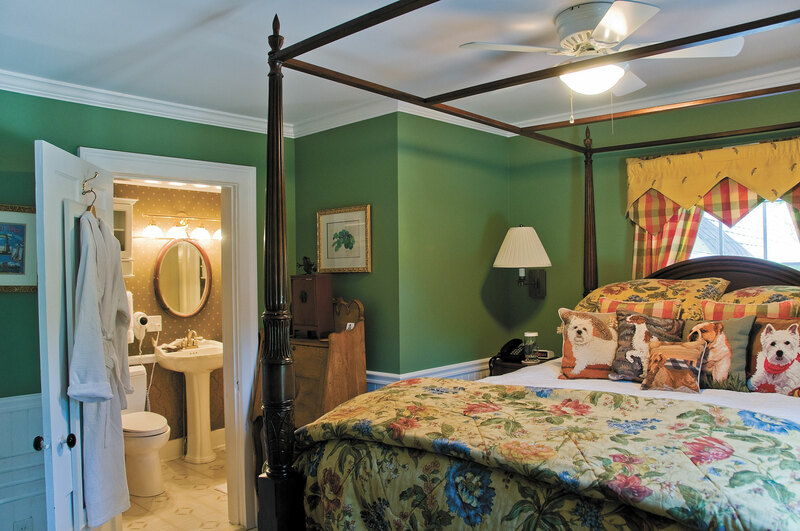 This room, painted in a soothing shade of fern green, faces away from the rising sun, and will appeal to those of you who like to sleep in late. 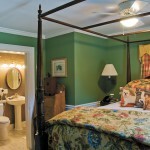 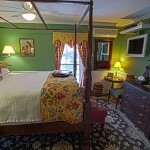 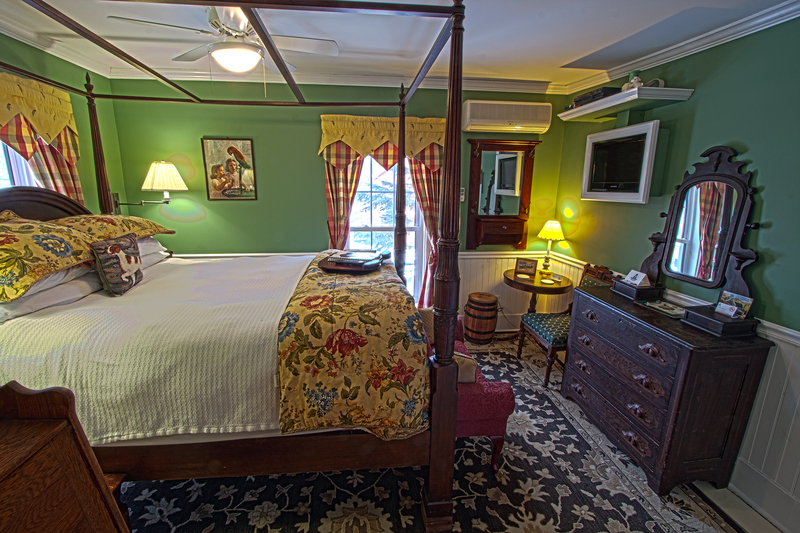 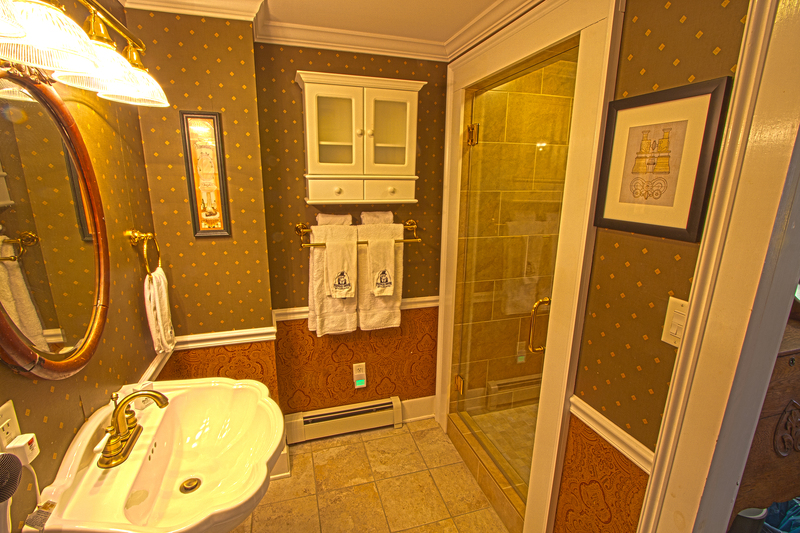 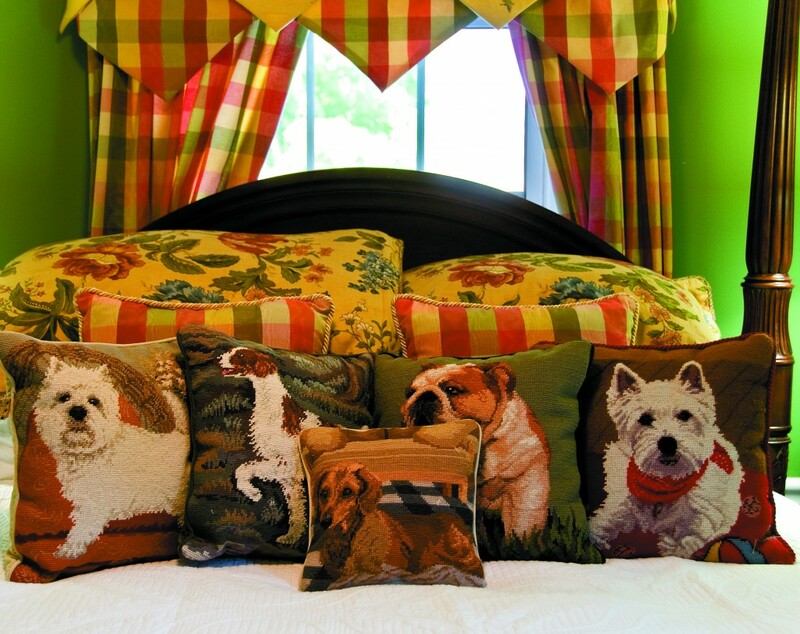 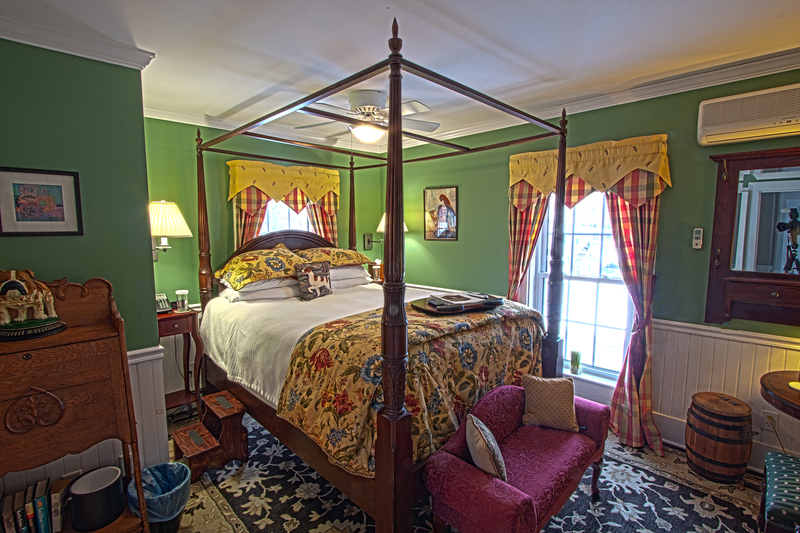 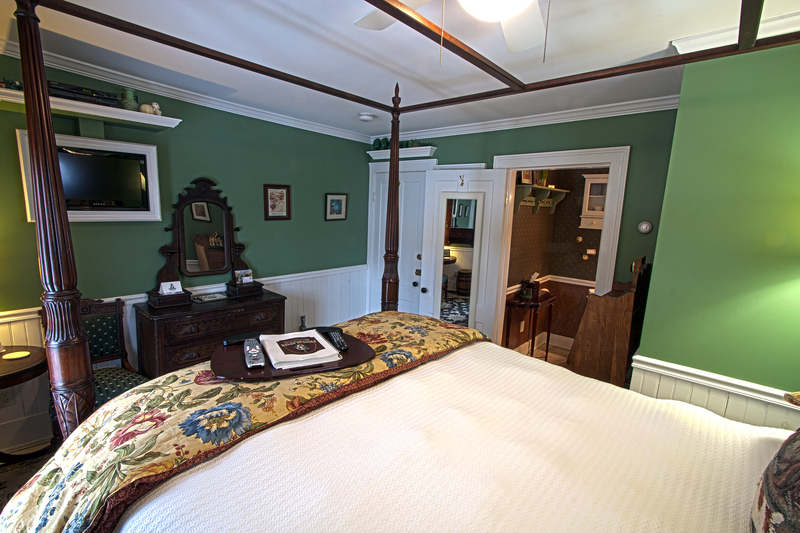 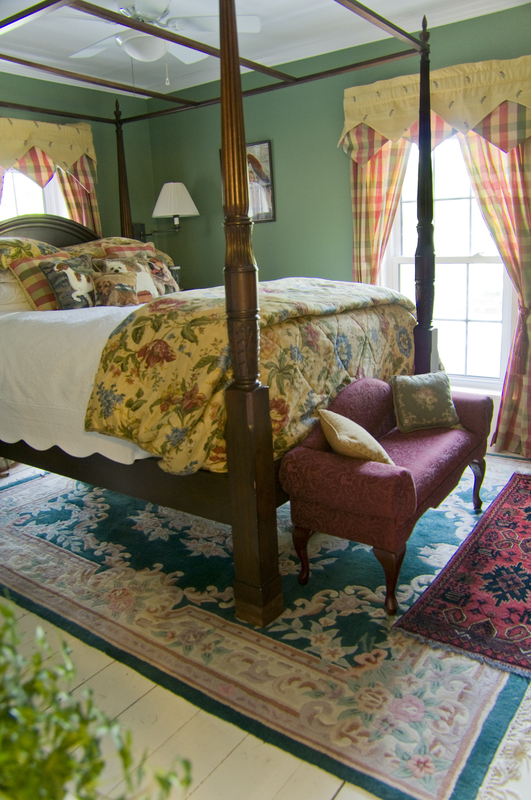 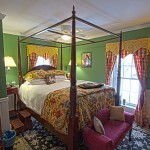 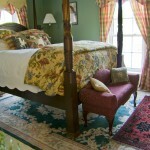 Like all the rooms in our Jay Peak hotel bed and breakfast, your bed is covered with a selection needlepoint dog pillows in addition to two soft pillows, two firm pillows and two sham-covered pillows to match the bedspread. 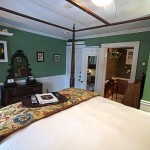 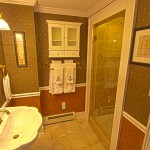 Also, as in every room in the Main House, this room features a framed flat panel plasma television and DVD player on the wall, internet hookup, private phone with free long distance in the USA and Canada, ensuite private bathroom and, as with all of our rooms, is fully air-conditioned with individual room controls—either for warmth in the winter or cool in the summer. 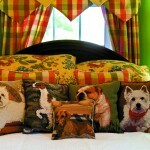 A reminder: Guests with pets and children under age 10 cannot stay in the Green Room due to health and fire safety regulations.